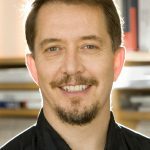 Our new Open Learning Course in Parapsychological (PSI) Phenomena is being taught by Etzel Cardeña, PhD, who holds the endowed Thorsen Chair in psychology, which has parapsychology in its remit, at Lund University in Sweden, where he directs the Center for Research on Consciousness and Anomalous Psychology (CERCAP). For a great background in the topic of parapsychology and the work of Dr. Cardeña, please see the interview below with Carlos Alvarado, PhD. For more information, and to register for this new (online) course in Parapsychological (PSI) Phenomena, please follow the links above, or click HERE. Etzel Cardeña: I still remember vividly listening to my parents discuss J. B. Rhine’s research when I was a child in México. My father was a psychoanalyst with a great interest in parapsychology who held courses on the topic and discussed it with my also very well-read mother and us. He conducted informal exercises with family and friends trying to develop ostensible telepathy and clairvoyance and published with my brother a serial on parapsychology for the layperson. Although he did not use experimental controls I was still very impressed at times, particularly by a friend of the family who had an uncanny ability to diagnose precisely someone whose name had just been given to her. Growing up I took psi phenomena as a given and read some parapsychology research books besides the wild speculations in books like Childhood’s End and More than Human. Some years later, while doing a Ph. D. under Charley Tart on hypnosis, he encouraged me to attend an intensive parapsychology summer institute at the FRNM (currently the Rhine Center), around 1984. It was an unforgettable experience in so many different ways. The unsystematic knowledge about parapsychology I possessed became more solid and broad as I read a great amount of studies and attended the various lectures at the institute. I also participated in the research being conducted and got a book as a prize for scoring higher than other institute students in a PK experiment with a computer game (Poink) that Richard Broughton was conducting. In a ganzfeld study that Nancy Zingrone, and perhaps John Palmer and Carlos Alvarado were carrying out, I stumbled onto an indication of the complexities of the phenomena. I recall that I had a very clear and unusual image that I even drew (and I do not like to draw at all) before receiving feedback. When I was shown the target and the three decoys, I said about one of them that that was the exact image I had seen (and had the drawing as corroboration) whether that one was the target or not. As it turned out, the target was the image I ranked second. Other than parapsychology, during the institute I attended some extraordinary modern dance performances at the American Dance Festival at Duke University, and went on a boat trip through the Eno River with the other institute students, full of ominous signs and reminiscent in scary ways of James Dickey’s Deliverance. No one died or got injured but it was an unforgettable and eerie experience. After my stay at the FRNM, I got a scholarship from the Parapsychology Foundation to conduct field research in Haiti on spirit possession, subscribed to the main parapsychology journals, and kept myself informed of the field through reading them and presenting at and attending the PA and Parapsychology Research Group meetings. Then, about 12 years ago, the Chair I now hold at Lund University in Sweden was advertised and I was offered the position, which has a remit on parapsychology and hypnosis, and which I thought (and continue to think) was a wonderful fit and professional opportunity. 1) Contributing to normalize anomalous experiences (including psi-related ones) within psychology through the two editions of Varieties of Anomalous Experience, published by a mainstream press (APA), and through other peer-reviewed books, papers and presentations. I have also tried to give some “cover,” to those who want to work in the field by co-organizing a published Call for an informed and open study of psi, signed by 100 current or past academics and published in a mainstream journal, as well as developing a very impressive list of eminent people from the past who were interested in psi, about to make its debut in the SPR psi webpages. My hope is that these publications will make it easier for faculty who are given the spiel that parapsychology is pseudoscience and that no “real” scientists take it seriously to argue that “real” and very eminent current scientists from Harvard, Stanford, Berkeley, Cambridge and other universities, besides figures from the past of the stature of Einstein, Planck, and Curie have supported research on the field. 2) The editing (see below) of an updated Handbook of Parapsychology, as well as upgrading the previous PA newsletter into the bulletin Mindfield, which I have now edited for 7 years. 3) Ongoing programmatic research on the relations between hypnosis, dissociation, alterations of consciousness, and performance in controlled psi experiments. 4) Linking psi phenomena to other disciplines (art and literature in a published paper, classical philosophy in a forthcoming paper). 5) Last but definitely not least, supervising doctoral students who will continue to work in the field. Etzel Cardeña: This question can be either answered fairly in a book or succinctly in a couple of sentences. First, it strongly suggests (along with other phenomena discussed by Ed Kelly) that the current limitations to consciousness assumed by most materialist-reductionist models are fallacious. Second, and in agreement with a number of interpretations of quantum mechanics by such people as d’Espagnat and Stapp, it agrees with a model of a unified continuous aspect of reality. Finally, the link between alterations of consciousness and psi gives rise to the speculation, already considered by some classical Greek and Indian philosophers, that the filter of the ordinary state of consciousness might not be as restrictive of certain valid phenomena as other states of consciousness. Etzel Cardeña: Where do I start? I have the advantage of also researching other areas that are more accepted and so I can bring an external perspective as well. One of the largest problems is the wrathful and prejudiced intolerance that characterizes so much of the anti-psi movement. You find the phobia that presumes that accepting parapsychology will bring about the end of science (I have never been able to follow that argument very well), and the petulance that just because some critics have not experienced these phenomena or they do not fit their ongoing schemas then those wanting to research them have to be cretins, spiritual fanatics, or worse. Related to this attitude is a more general arrogance in which some scientists assume that their current account of reality is final or close to final, and that any deviations from it are of course deluded, notwithstanding the history of science showing how “final” accounts of reality have been superseded by considerably different ones, and how much our capacity to know is limited by the nature of our receptors, our evolved limited rationality, and the nature of nature of nature itself. The anti-parapsychology movement has been very effective so far in marginalizing the field and exerted a very high cost on those who want to work in the field, with the main exception of Great Britain. The result is that there are preciously few researchers and theoreticians working in the area. As a comparison, a subfield of a subfield of a subfield, for instance the study of the P300 event related potential (ERP), attracts far more researchers, labs, and financial opportunities than all of parapsychology combined. 1) In agreement with at least one critic, there is a tendency among some (of the very few) researchers to go from method or question to another, rather than to persevere with a promising question and conduct programmatic to get a better comprehension, as is done by most successful mainstream researchers. For instance, at a recent PA I heard about a study that did not turn out as expected and the presenter explained why that might have occurred, but instead of testing that hypothesis in later studies, s/he declared that s/he would move to another question. 2) Considering parapsychology as an independent “discipline” is unrealistic. It is rather a cross-disciplinary topic of interest to psychologists, physicists, biologists, and so on. This has two consequences. The first is that it implies that psi research should be better integrated into larger disciplines (as researchers like Bem or theoreticians like Carpenter are doing), rather than remaining within a very small community. For instance, studies having both a psi and non-psi component are likely to make greater inroads than those just evaluating possible psi. The second is that, as with other topics, the greater the impact of the researcher in the larger discipline overall, the greater the likelihood that s/he will be heard by people not already committed to psi. For example, statisticians pay attention to Jessica Utts’s pronouncements about psi because of her general reputation as a statistician, not because of psi itself. Similarly, I have been able to publish papers on psi in mainstream journals probably because I am well-known for my work in other areas. 3) Considering the very meager resources in the psi field (and thanks to Bial, there are some rather than almost none), there should be far more inter-laboratory collaborations than is the case. 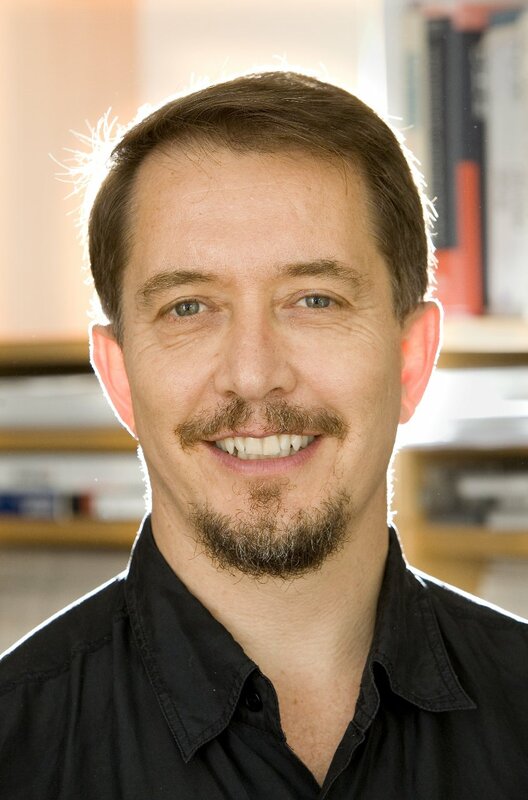 For instance, I think that it is imperative to develop and test with a large number of participants a potential battery of task-related (as Rex Stanford has suggested) tests, psychological measures, and other indicators to determine who is likely to succeed in a psi experiment, and that this should be done as a collaborative enterprise. Even though I do not expect that we will find a strong indicator, even a moderate indicator would be of great help to increase our chances of evaluating phenomena more reliable. 4) Finally, I think that both extremes of granting unjustifiably too much to critics instead of responding assertively to them, or claiming greater certainties about the nature of psi phenomena than are warranted does disservice to the field. In the first case it allows critics to get away with demonstrable falsehoods, does not require them to produce actual research to support their points, and does not discuss (the very real) limitations of psi research within the greater context of the limitations of empirical research in general. As for claims that we clearly understand psi phenomena, they crash against the reality of the field’s limited success in establishing the conditions under which results can be robustly replicated. One final point is a problem that I have seen all too often in listservs and other specialized forums in which honest researchers who express doubt as to the evidence of some types of psi and/or point to contradictory evidence are personally attacked or assumed to be cognitively deficient. I know of at least one person who left the field because of this. Despite what I think is an idealization of people working on parapsychology as generally open and selfless, I have found the same dogmatism, egocentricity, and outright nastiness that I have observed in other groups. I am particularly aware of this since some members of the parapsychology community in Sweden started attacking me personally even before I arrived to Sweden, and they have continued their attacks now for more than 10 years, the longest and most malicious temper-tantrum I have ever observed. Etzel Cardeña: We (co-editors Etzel Cardeña, John Palmer and David Marcusson-Clavertz, with contributions from many of the most important workers in the field) just finished a major enterprise, an update of the 1977 Handbook of Parapsychology (Parapsychology: A Handbook for the 21st Century) that provides both a state-of-the-science account of psi research along with information on how to design experiments and analyze them statistically. The book is intended for both beginning and experienced researchers. One of my doctoral students and I finished recently the preliminary analyses and report of a study on ganzfeld, hypnosis, and the Model of Pragmatic Information (MPI), which we will submit to a journal within the next few months. Although we did not replicate a previous strong correlation between psi z-scores and experiencing an altered state of consciousness, we did replicate moderate correlations between psi scores and low arousal and more focused attention that Chris Roe and collaborators have found in their research. Our results were also consistent with the MPI. We have transcribed the sessions from this and a previous telepathy experiment and at some point will see if quantitative and qualitative content analyses can evidence a relation to psi scoring or missing. I finished a paper that presents the case for considering anomalous experiences (and potential anomalous events including psi) as essential for any model of consciousness, to be published in a mainstream encyclopedia on consciousness. We (past or current doctoral students and I) have many papers recently accepted or under revision on such related topics as the influence of hypnotizability and dissociation on the stream of consciousness, mind-wandering: and dissociation, trauma, and attachment style among teenage immigrants to Sweden previously exposed to traumatic events. Collaborators from other universities and I are working on papers on spirit possession in the Dominican Republic and posttraumatic symptoms among breast cancer survivors. And if I am unable to control my masochistic tendencies, I might also accept invitations to write two books on alterations of consciousness, psi phenomena and their ontological and epistemological implications. Other than that, I am planning to direct the extraordinary play Krapp’s Last Tape by Samuel Beckett in the fall as Artistic Director of the International Theatre of Malmö, and of course enjoy all of life with the spark of my life Sophie and our little ones.